London, Jan 22 : Turkish Prime Minister Ahmet Davutoglu has warned that the swarm of jihadi volunteers travelling to Syria via Turkey to fight alongside Islamic State (IS) cannot be stopped. According to the Independent, with authorities unable to close the porous 510-mile border between the two countries, Davutoglu said that Turkey could not put "soldiers everywhere on the border". The Turkish government has been accused of doing little to prevent the Western jihadists from crossing into Syria. Ankara, July 30 : Deputy Prime Minster of Turkey, Bulent Arinc , has made a bizzare comment by saying that women should not laugh out loud in public. During an Eid el-Fitr meeting, the 66-year-old politician revealed his ideal of the chaste man or woman, saying that they should both have a sense of shame and honor, Hurriyet Daily News reported. He said that chastity is an ornament for both women and men and that women will know what is haram and not haram, she will not laugh in public and will not be inviting in her attitudes and will protect her chasteness. Ankara, May 14 - At least 20 miners were killed and around 300 others were trapped underground after a deadly explosion in a coal mine shaft in Turkey's western province of Manisa Tuesday, the media reported. The accident took place in Manisa's Soma district, Xinhua quoted the local Dogan news agency as saying. Turkish Energy Minister Taner Yildiz said that four separate rescue teams were working in the mine before he headed to Manisa. Ankara, March 31 - Preliminary results of Turkey's local elections showed Sunday the country's ruling Justice and Development Party (AKP) party taking strong lead in the polls after over 40 percent of the votes were counted, local media reported. The early results showed that the AKP garnered 46.5 per cent of the votes for the provincial assemblies nationwide, reported Xinhua citing local media. The ruling party received 39.1 per cent of the votes in the local elections in 2009. Ankara, March 28 - Turkey's Telecommunications Directorate Thursday blocked access to popular social network Youtube hours after a leaked voice recording of a high-level security meeting on Syria was published on this website, the media reported. In the voice recording, Foreign Minister Ahmet Davutoglu, National Intelligence Organisation Undersecretary Hakan Fidan, Foreign Ministry Undersecretary Feridun Sinirlioglu and Deputy Chief of General Staff General Yasar Guler were heard discussing possible intervention into Syria, Xinhua quoted Dogan news agency as saying. Turkish Prime Minister RecepTayyip Erdogan has said moved to block access to micro blogging site, Twitter in the country on Friday. Following the move by the Prime Minister, millions of Turkish Twitter users used alternative ways to access the site and expressed anger over the move. The country's president was among the users who found ways to circumvent the restrictions and expressed anger over the move. The latest move has angered people, who see this as Erdogan's growing authoritarianism in the country. Ankara, Feb 27 : Chelsea kept Didier Drogba well-shackled in his first game against his former English club but Aurelien Chedjou's second-half goal earned Galatasaray a 1-1 draw in their last-16 Champions League football first-leg here Wednesday. Chelsea dominated the opening 45 minutes but just had Fernando Torres' early goal as a reward, reports Xinhua. However, Galatasaray's superstar Drogba took advantage of sloppy marking to find space in the box and steer home Wesley Sneijder's inswinging corner on 65 minutes to leave the tie evenly poised. Istanbul, Feb 26 - Protests erupted in 11 Turkish cities Tuesday evening demanding Turkish Prime Minister 's resignation after an audio recording of him discussing a plan to hide money from police got leaked. Thousands of people took to the streets in the capital Ankara as well as Istanbul, Izmir, Antalya and other cities, Xinhua reported. In the recording, Erdogan and his son Bilal allegedly discussed a plan to hide $1 billion worth of cash in several houses on the day when police raided a number of venues in a massive corruption investigation. Ankara, Feb 13 : Pakistan's Prime Minister Nawaz Sharif Thursday called on all concerned parties to strive to maintain regional peace and security as NATO troops withdraw from Afghanistan before the end of 2014. "We hope the withdrawal will be managed while preserving regional peace and security," Xinhua quoted Sharif as saying in a written statement before the opening of a Turkey-Pakistan-Afghanistan Trilateral Summit in Ankara. "We also wish Afghanistan every success in drawing a path for sustainable peace," Sharif said. Ankara, Oct 9 : As the government of Prime Minister Recep Tayyip Erdogan becomes increasingly authoritarian, and assumes more and more powers, there is mounting concern in Turkey over a new law that will allow police to detain from 12 to 24 hours without any court order people who pose the "risk of conducting a protest". The new law will be implemented jointly by the country's justice and interior ministries, the Hurriyet Daily News reported. Istanbul, Oct 4 : Turkish President Abdullah Gul Friday warned of a growing threat of radicalisation in Syria as the country's conflict shows no sign of ending anytime soon. Gul made the remarks at a two-day Istanbul Forum held here to deliberate the topic 'Transition and Crisis in the Middle East', Xinhua reported. Addressing more than 300 participants from 30 countries, Gul said: "The war in Syria is getting deeper and deeper every day. If it lasts longer than expected, we should be prepared for more actions of radicalization." Ankara, Sep 10 : Choosing Tokyo instead of Istanbul to host the 2020 Olympics was unfair and the International Olympic Committee (IOC) ignored the Muslim world, Turkish Prime Minister Recep Tayyip Erdogan said Tuesday. "It hasn't been fair," Erdogan told Turkish media. "In a way, they are cutting ties with the 1.5-billion-people of the Muslim world." Both Japan and Spain had hosted the Games before while Turkey had not, complained the prime minister, reports Xinhua. Ankara, Aug 30 - Turkish Super League Champion Galatasaray will take on Real Madrid in this season's Champions League group stage. Real Madrid along with Juventus, Kobenhavn were picked Thursday as Galatasaray's group rivals. Last year, Real Madrid reached the Champions League semifinals for the third straight season despite losing 2-3 at the hands of Galatasaray following a second-half resurgence by the Turkish team, reports Xinhua. Turkish Airlines has plans to operate the world's longest non-stop flight, from Istanbul to Sydney, in the next three years, the airlines' chief executive Temel Kotil said. In a recent interview with Air Transport World, Kotil said that Turkish Airlines would launch its first flight to Sydney in 2014. Ankara, May 1 : Turkey has signed Michael Phelps' coach as a consultant on their swimming programme for the 2016 Rio de Janeiro Olympics. It was reported that Bob Bowman, who guided Phelps to a record 18 gold medals at the Olympics, would help select swimmers and advise the Turkish Swimming Federation on strategies to develop competitors, Turkey's Youth and Sports Ministry said Tuesday, reports Xinhua. The appointment is part of Turkey's strategy to develop athletes in swimming and other major Olympic events. Ankara, April 19 : Disciplinary board of the Turkish Football Federation (TFF) has approved Galatasaray coach Fatih Terim's nine-match ban over his overreaction to the referee of the match between Mersin Idmanyurdu and Galatasaray two weeks ago. Terim has been given a nine-match ban over "unsportsmanlike conduct" during a match against the Super League's Mersin Idmanyurdu April 6. However, Galatasaray then appealed to the disciplinary board to review the decision, reports Xinhua. Ankara, April 10 : US Secretary of State John Kerry will attend the upcoming Friends of Syria meeting in Turkey, Turkish Prime Minister Recep Tayyip Erdogan said Wednesday. Kerry's trip to Turkey will be his third to the country in the two months since his appointment to the post, Xinhua reported. The Friends of Syria meeting will gather 11 countries in a bid to boost the international community's efforts to find a solution to the Syrian crisis. A British trade delegation led by Deputy Prime Minister Nick Clegg is visiting Turkey for attracting investments from the country and promoting exports to Turkey from the UK. Mr. Clegg is aiming to secure deals worth £500 million and. He began the trip with the announcement of a series of agreements signed with the Turkish companies that are aimed at boosting the economic growth in the UK and helping in recovery. 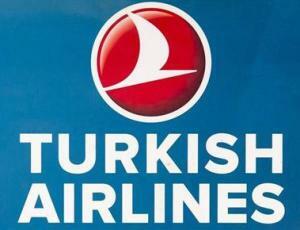 Aviation firm, Turkish Airlines is planning to expand its presence in the Indian market by flying to three more cities in different parts of the country. Turkish Airlines currently flies to Delhi and Mumbai and might soon start operations in cities like Bangalore, Hyderabad and Kolkata. According to some reports, Turkish firms might stop acting as intermediaries for the Indian firms to purchase crude oil from Iran in the wake of increased tensions between the authorities in Iran and western powers. Oil firm officials have held meeting with Indian oil ministry officials in order to discuss alternative actions including routing remittances through Russia. 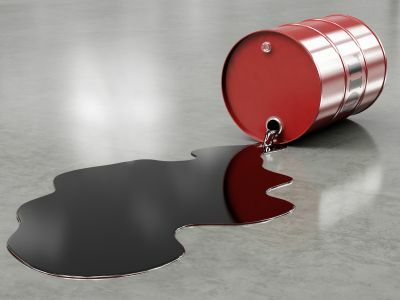 The oil firms in India might also have to suspect import of oil from the country altogether to avoid any adverse actions by western countries.